Factory supply salon professional colorful plastic crocodile hair clip 1.Material:plastic 2.Size:11*1.5cm 3.Color:black,white and purple 4.Logo:silk-screen 5.Individual Packing:polybag bad , PET box ,gift box ,white box,can design as requested 6.Minimum order quantity:5000pcs 7.Samples:available, Factory supply salon professional colorful plastic crocodile hair clip i n customized style and color ,charge USD50 ,need 7days. 8.Shipping packing:50pcs/inner box,600pcs/master carton 9.Mass production time:30days 10.Transportation:By sea or by air 11.Barcode label supplied We have other styles Factory supply salon professional colorful plastic crocodile hair clip,please visit my company web . We hope for your interest and contact further . 2) We refund you if you return the items within 7days of your receipt of the items for any reason. 3) The buyer should try to file a claim with the logistic company to recover the cost of damage or loss. The buyer will be responsible for the shipping fees to return the items. We Mainly Manufacture Hair Ceramic Brush, Paddle Brush, Hair Cape And Apron etc. 3) Q: Can I buy small order9 A: Yes,our company mainly deal with wholesale deal. But we also hope you know the price for small order will be a little higher. 8 YRS Ningbo Beilun Sinle Beauty Product Co., Ltd.
1 YRS Yiwu Dongtai Mom&Kids Products Co., Ltd.
2 YRS Ningbo Essy Brush Manufacturing Co., Ltd.
2.Samples Policy : we could offer samples to customer free of charge, but customer have to pay the express cost. 3,After sale : We look for long time business cooperation with customer, so if any comments when receive the goods, just let us know, we will help to slove any problem. 4,About us : Hanyi Specialize in making Acetate hair ornaments for 10 years, we have enough experience and we welcome OEM service. 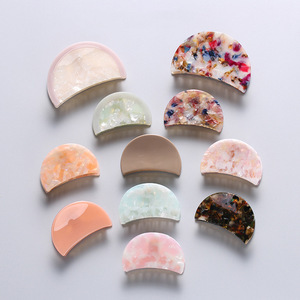 1 YRS Yongjia Kelai Trading Co., Ltd.
1.Salon professional plastic frosting hair clip 2.Kinds color choice 3.OEM or ODM 4. 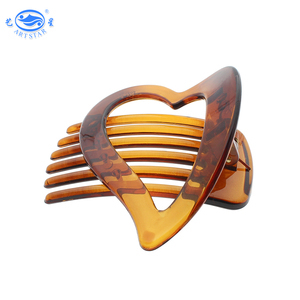 We are the manufacturer of hairdressing products in Guangzhou since 1998.Now we have a facotory mainly produce the hair clips and pins. and we are in Guangzhou where is very convenient for to our about our items,please feel free to contact us. Our products not only cover Chinese market, but also find a good sale in international market, such as in Southeast Asia, Africa and the USA. 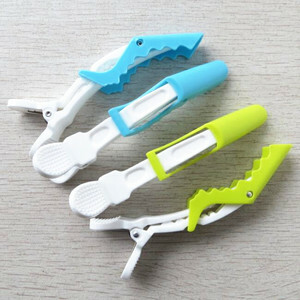 Alibaba.com offers 12,067 plastic hair clips products. About 29% of these are hairgrips, 20% are hair claws, and 2% are barrettes. A wide variety of plastic hair clips options are available to you, such as free samples, paid samples. 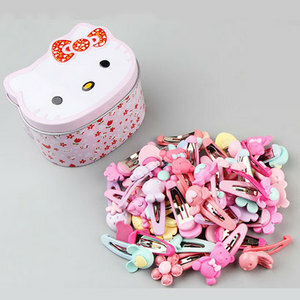 There are 12,067 plastic hair clips suppliers, mainly located in Asia. 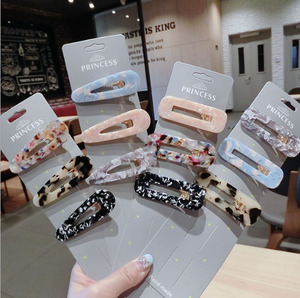 The top supplying country is China (Mainland), which supply 100% of plastic hair clips respectively. 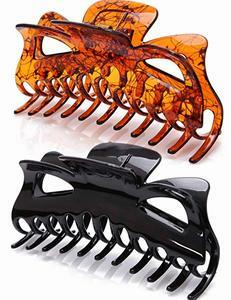 Plastic hair clips products are most popular in North America, Western Europe, and Eastern Europe. You can ensure product safety by selecting from certified suppliers, including 939 with Other, 663 with ISO9001, and 480 with BSCI certification.